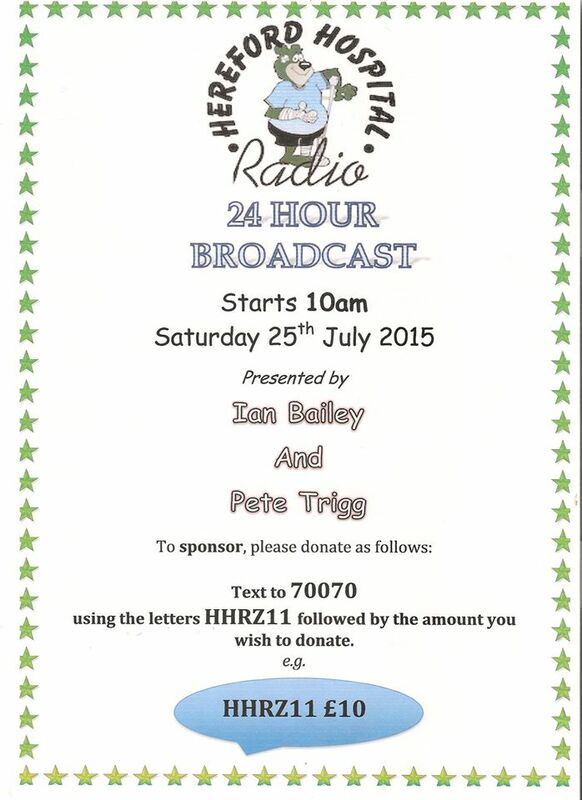 Don’t forget to join Pete Trigg and Ian Bailey for their very special 24 hour sponsored broadcast. 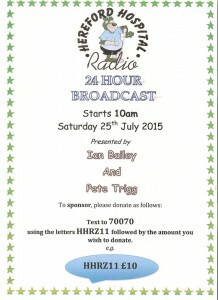 From 10:00 am on Saturday July 25 right through until 10:00 am on Sunday July 26, Pete and Ian will be live from the Hereford Hospital Radio studios trying to get through a mammoth broadcast, with special guests throughout the show. Donations are welcomed for this event, as we cannot remain on air without them. 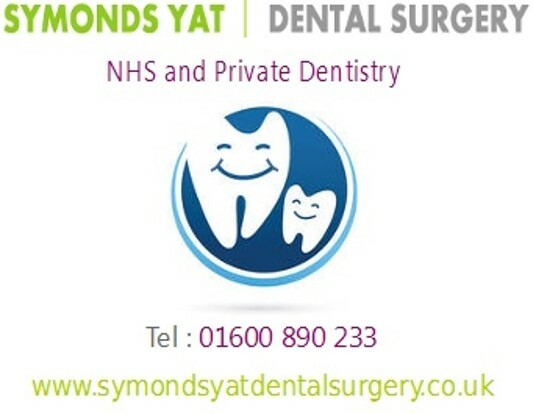 To donate, text the word HHRZ11 followed by the amount you want to donate to 70070. For example, to donate £5, text HHRZ11 £5.